From an article on the company's 25th anniversary in the 1923-05-17 "American Machinist"
Edward J. Kearney (1868 - 1934) and Theodore Trecker (1868 - 1955) founded the Kearney & Trecker Company in 1898 after betting on who would win the Spanish American War. The firm incoporated in 1906. 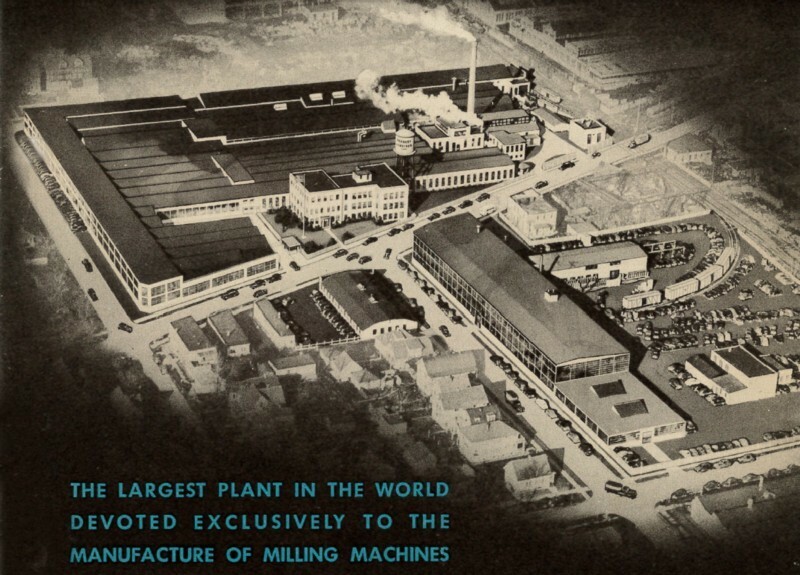 Located in Milwaukee, Wisconsin and later West Allis, WI, the partners designed and manufactured the famous “Milwaukee” series knee-type milling machines. Since 1912, the “double overarm” arbor support design was the signature feature of their horizontal milling machines, along with the “Milwaukee” brand name. The American Precision Museum website has a biography of Theodore Trecker. Machine serial numbers from 1919 to 1948 may found at the Kearney & Trecker Co. serial number page.